With No Brahmin Candidates Announced Yet, Is SP Adopting a New Policy? The party seems to have realised that the BJP cannot be defeated on religious lines, so is highlighting the issues of backward castes. Now after the debacle in the 2017 assembly elections, the SP seems to have adopted a new policy. The party has so far declared 29 candidates of the 37 seats it is contesting. A close look at the list reveals that no Brahmin has been fielded. 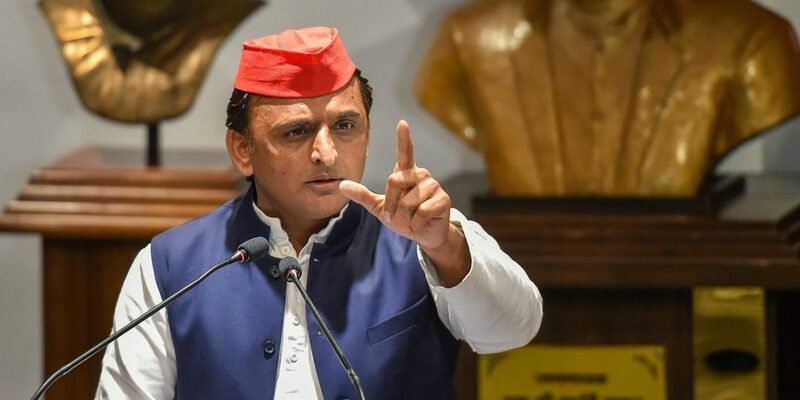 There are 16 OBCs, including eight Yadavs (five from the Yadav clan), six candidates Scheduled Caste candidates, four Muslims and only three from the general category. Among the upper castes, there are no Brahmin candidates. It includes one Vinod Kumar Singh alias Pandit Singh (Thakur) from Gonda and two Vaishyas (Shyama Charan Gupta from Banda and Suresh Bansal from Ghaziabad). With just eight seats, of which Kaushambi is reserved, are left for the SP to declare candidates. Among them, Abhishek Mishra was fielded from Lucknow in 2014. The city has a sizeable Brahim population. Mishra not only lost the polls to Rajnath Singh but polled the least number of votes in the history as a SP candidate from Lucknow. Senior SP leaders confided that Mishra was unable to get votes even from his own caste. Other seats where the candidature has not been announced include Phoolpur, which the SP won in the bypolls by fielding Nagendra Pratap Singh Patel, an OBC. So it is unlikely that a different candidate will be announced. Ballia, in the past has been represented by Neeraj Shekhar, son of former PM Chandrashekhar. So, eventually Allahabad (SP satrap and now Rajya Sabha MP Reoti Raman Singh in 2014), Maharajganj (where Akhilesh Singh, a Kshatriya was the candidate in 2014), Chandauli (Ramkishun Yadav in 2014) and Varanasi (OBC Kailash Chaurasia in 2014) are the only seats left. Among the remaining eight seats, SP had had fielded only one Brahmin, from Lucknow, in 2014. Going by the caste arithmetic it is unlikely there will be more Brahmin candidates. What is SP’s plan ? Since its inception in 1992, the party has for the first time shied away from giving tickets to Brahmins. This is akin to socialist ideologue Dr Ram Manohar Lohia’s slogan in 60s: “Sansopa ne bandhi Gaanth, Pichhde pave Sau mein Saath” (Sansopa Sanyukt Socialist Party formed by the merger of Praja Socialist Party and Samajwadi Dal in 60s). The SP always portrayed itself as the torch bearer of Lohia’s ideology. It named its flagship schemes after Lohia and even has a frontal organisation Lohia Vahini. Now, translating the ideology into practice, the SP has given nearly 55% representation to OBCs. Akhilesh has time and again has said, “I am a backward Hindu.” He has revised his political strategy and has often targeted the BJP on this issue. Even during the spate of encounters during the Yogi Adityanath regime, Akhilesh has raised the point that the suspects belong to select few castes. The writing on the wall is clear. SP leaders admit that one cannot defeat the BJP on religious lines as it is their hometurf. But it can be easily defeated if the issues of backward castes are highlighted, the SP believes. The BJP, on its part, has gone all out to woo the upper castes. Though there is no official estimate of their numbers, it is believed that upper castes constitute nearly 20% of UP’s population. The largest share is of Brahmins who are nearly 10-12%, followed by Kshatriya, Vaishyas and Bhumihars. Each of them has their own satraps and their own area of influence. Besides the numbers, their importance also comes from the fact that they are opinion makers. Educationally, financially and even in muscular power, they are well off. There may be differences among them, but it is usually confined to area and constituency level. They have connections cutting across party line. There are several examples of members of the same family being affiliated to different political parties. 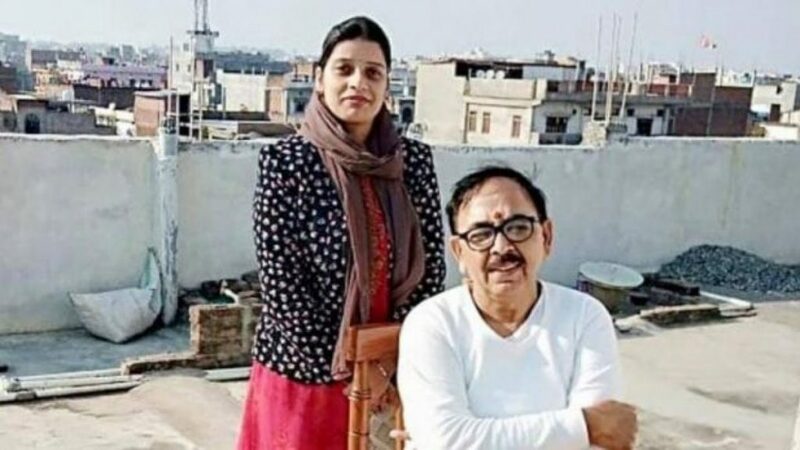 A recent example is that Amrita Pandey, the daughter-in-law of the BJP’s state president Mahendra Pandey, joined the Congress. Every party accords them importance, be it Satish Chandra Mishra in the BSP, Abhishek Mishra in the SP, Pramod Tiwari and others in Congress. The BJP has plenty of names. The BJP alone has nearly 140 upper caste MLAs in the present assembly. Past figures also suggest that the ruling party of the state always has high number of Brahmin MLAs. It reflects that the community is quick to analyse the direction of wind and does not hesitates to shift. Religion is also a binding force among the upper caste. Due to this, any party which inclines towards them religiously will automatically get their support. CM Yogi Adityanath has done so, from celebrating Diwali at Ayodhya, enhancing incentive to Kailash Mansarovar pilgrims, Mathura development and a massive facelift to the holy city of Varanasi. The BJP thus remains their natural and first choice. Lately, the Narendra Modi government was cornered over decreasing employment opportunities. Lesser opportunities in higher education and decreasing government sector added to its worries. Time and again, various quarters call to scrap or review the reservation provided to OBCs, Dalits and tribes. The Centre’s move to restore the provisions of the Prevention of Atrocities Act too resulted in resentment among the upper castes. Large scale mobilisation and consolidation of OBCs and Dalits had the upper castes on tenterhooks. Social media conversations also claimed that the BJP has become apathetic towards upper castes. All this culminated with the BJP losing power in three states: MP, Rajasthan, Chhattisgarh. The upper caste youth was feeling restless and felt the BJP took them for granted. Amidst this, the Modi government has passed the Constitution (One Hundred Twenty Fourth Amendment) Bill 2019 which envisages 10% reservation to economically weaker sections of the general category in jobs and educational institutions. This is being hailed as a master stroke by political pundits. To some extent, they have succeeded in nipping in the bud the resentment among the upper caste youth. This will be the first time in UP when upper caste voters have been offered a sizeable assurance by the government. As of now, no political party can afford to go against the economic reservation and hence are silent on the issue. The BJP is surely set to gain from it in elections. On the ground, the effects are quite evident. There seems to be no second thought among upper castes to change their mind. Barring minor issues at local level, the BJP has managed them quite well. Mohammad Faisal is a freelance journalist.